Buy more, pay less. Save up to 20% with HP Multipack. This cost-effective HP Multipack contains four toner cartridges - black, yellow, magenta and cyan. These high-quality original printer cartridges are designed for the popular HP Officejet printers. The cartridges offer professional print quality and long service life. It will infuse your documents and marketing materials with stunning, vivid colours and sharp contrasts. Their unique ecological design makes the used cartridges easy to recycle. Enjoy quality HP cartridges every day of the week. For shipping to other EU countries visit this page HP C2P42AE č. 932XL/933XL Multipack. Chcete doručit zboží do Česka? 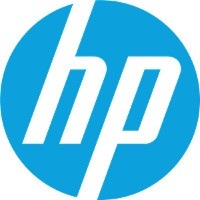 Prohlédněte si HP C2P42AE č. 932XL/933XL multipack. Chcete doručiť tovar na Slovensko? Prezrite si HP C2P42AE č. 932XL/933XL. Für Versand nach Österreich, besuchen Sie bitte Druckerpatrone HP C2P42AE č. 932XL/933XL Multipack. Magyarországra történő kiszállításért tekintse meg ezt a termékoldalt: HP C2P42AE No. 932XL / 933XL Multipack.